Iran's nuclear chief says his country has launched plans to increase its ability to enrich uranium. Such a move would intensify pressure on Britain, France and Germany. Those countries are struggling to prevent collapse of an international agreement aimed at controlling Iran's nuclear program. The agreement was weakened after the United States announced it will withdraw from the deal. Ali Akbar Salehi is director of Iran's Atomic Energy Organization. He told reporters that the country was developing technology for building advanced centrifuges at a nuclear center in Natanz. The city lies about 300 kilometers south of Tehran. "What we are doing does not violate the (2015 nuclear) agreement, Salehi said. He added that the government sent a letter Monday to the International Atomic Energy Commission about "the start of certain activities." Salehi said this did not violate the nuclear deal, but that it marked an increase in the development of the nuclear program. Iranian state television broadcast his comments. 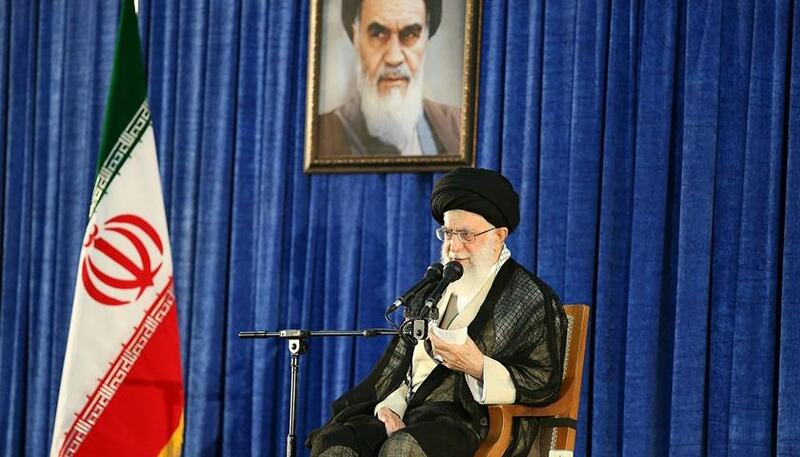 The country's top leader, Ayatollah Ali Khamenei, said on Monday he ordered preparations to expand uranium enrichment capacity in the event the agreement collapses. Salehi said Iran could not support a "flawed" nuclear deal and could not obey new restrictions in the agreement while facing new sanctions. He noted Iran's position that it is ready to sharply increase its nuclear activity if the agreement falls apart. Britain, France and Germany are attempting to save part of the deal that calls for an easing of sanctions in exchange for limits on Iran's nuclear activities. The U.S. government has re-established actions designed to punish Iran since it withdrew from the nuclear deal last month. At the time, President Donald Trump said Iran was a threat to national security. Iran has said its nuclear program is for civilian, not military purposes. But Israel, Saudi Arabia and the U.S. have accused Iran of trying to build a nuclear bomb. Under the deal, Iran can continue to enrich uranium to 3.67 percent. That is far below the 90-percent required for weapons grade uranium. The three European powers still support the deal. But they have concerns about Iran's missile program and its influence in the Middle East. They are all against the nuclear deal with Iran. The casing on the nuclear bomb, it cracked. He was not seen as a risk to national security. 5.That is far below the 90-percent required for weapons grade uranium. The standards set four years ago in Seoul will be far below the athletes 'capabilities now. 6.He noted Iran's position that it is ready to sharply increase its nuclear activity if the agreement falls apart. When that thing falls apart, you go back to the parts.